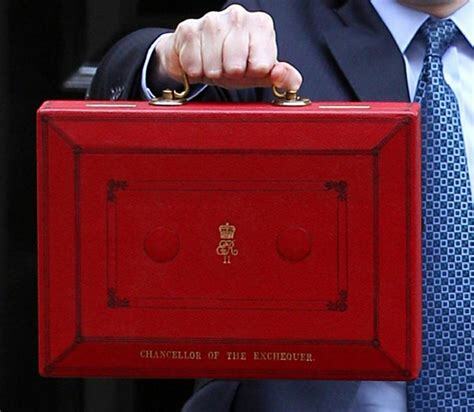 Preet Kaur Gill, the Member of Parliament for Edgbaston, has released a statement on what Monday’s budget announcement means for the people of Edgbaston, and the wider Birmingham area. “With this week’s Halloween horror of a budget from the Conservatives, they have yet again shown that they are the party of the few not the many with their changes to taxes and benefits seeing the richest gain while the poorest households lose out. But what does it mean for the people living in Bartley Green, Quinton, Harborne and Edgbaston? As many people are sadly aware, we are in the middle of a housing crisis in Birmingham. Chancellor Phillip Hammond has proven that he does not consider this to be an important issue. This is demonstrated by the fact that funding for affordable housing was over £4bn in 2009-10 and is now less than £0.5bn, and the number of new social rented homes has fallen to the lowest level since the Second World War. On top of this, Council capacity has been hollowed out by some of the most swingeing cuts across the public sector. Labour will back councils and housing associations to build with new central Government funding as part of our plan to build a million genuinely affordable homes. Thanks to pressure from Labour Shadow Secretary of State for Housing, John Healey, the Housing Revenue Account (HRA) cap that controls local authority borrowing for house building will be abolished from 29 October 2018 in England, enabling councils to increase house building to around 10,000 homes per year. It is worth remembering that the Conservatives were responsible for bringing in this cap in the first place and the Labour party’s efforts to get this rectified have been extensive. As we are all aware, crime is rising in the constituency of Edgbaston, we have seen it rise by an unacceptable 19% in Edgbaston in the last year. I have met with many constituents who have been directly affected by this and know that it is at the forefront of many people’s minds, especially with the imminent closure of Quinton Police Station that I, and many others, protested against earlier this year. The government has cut police funding in real terms by 30% since 2010 leading to cuts of 21,000 in police officers and the decimation of support staff, the effects of which we see first-hand daily in Edgbaston. Worryingly, ‘low-incidence, high-harm’ crime such as gun and knife crime are rising sharply as well as sexual crime of all types, meaning that women and working-class families will again bear the brunt of these problems. David Jamieson, Chief Constable of the West Midlands Police warned us in July that the “poor service” being provided by the Police was due to budget cuts. What is Phillip Hammond’s response to this fact? Not a penny more for regular policing. It is clear that crime is certainly not an important issue for the Tories. Another issue we in Edgbaston know more than most is the fact that the education of our children is being put under immense strain. Headteachers have been demonstrating in the streets, people cannot get their children into local schools and emotional support services for children is at breaking point. The Conservative response to these factors is substandard. The Tories’ offer to supply money for “little Extras” is insulting, the ability to be able to buy a new interactive whiteboard will not be sufficient to quell the fact that school budgets are £1.7 billion lower in real terms than they were in 2015 or to address the fact that it is now common place for Headteachers to ask parents for donations so that they can afford to keep running their schools. Universal Credit was rolled out in Birmingham in February 2018. We were all hoping that the Budget would address some of the most serious issues brought about by this intrusive and debilitating benefit. Having met many people affected at my constituency surgeries, the reviews of Universal Credit are overwhelmingly negative. The long waiting times caused by the payments being made a month in arrears have resulted in financial turmoil and in some cases, notices of eviction from landlords. Pressure from senior figures within the Labour and Conservative parties led some to believe that the Conservative government would make some much needed changes. They have not gone far enough. The IFS Green Budget said that £7bn of welfare cuts are planned in the next five years: £1.7bn in the final year represents less than a quarter of that in real terms and still means cuts of £5.3bn. This will do nothing to reverse the estimated £17bn of social security cuts which have taken place already. The Conservative party will be doing nothing to reverse the two-child limit, the abolition of the basic family element worth £545 a year, or the freeze on benefits until 2020 that includes most of the elements of Universal Credit causing many of the hardships experienced by my constituents. One thing that the Conservative party did not forget to do in this year’s budget was cover their own back by shelling out money to ensure the DUP continue to prop them up. The West Midlands has been utterly forgotten whilst Northern Ireland has been showered with funding from all angles with an additional £1bn announced on Monday against £100 million for the West Midlands.